It's a bit tricky to get the stroller in there and zipped up, but it protected my stroller for multiple flights. The new Quinny zapp is bigger, and so is the travel bag. The wheels have to come off on this model to fit in the travel bag, which makes it not so convenient as a stroller to fit in the overhead bin of a plane. We will see if this one really fits, our old quinny was great for that. Also I wish it came in different colors, black just blends with every other bag. Our old bag was fuscia and red, much easier to spot on a carousel! Greeat design and fit, just perfect for travel with the little one. Does this fit the Quinny zapp xtra folding seat? 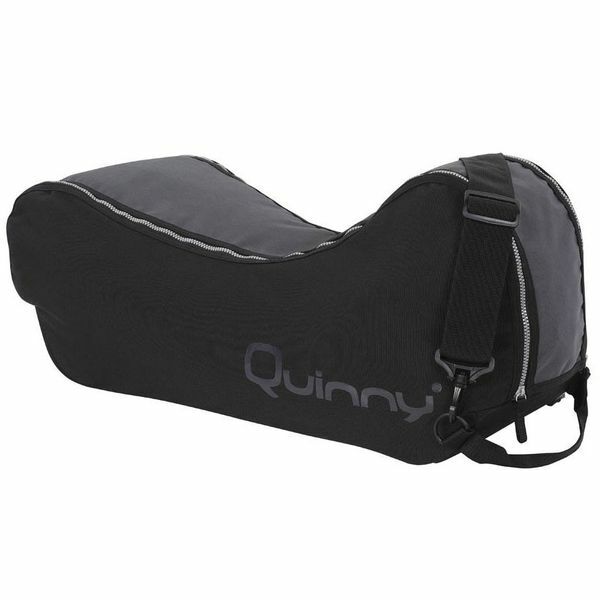 Will this bag work for quinny flex plus? For parents who are on the go the Zapp Xtra carry bag is the perfect accessory. This carry bag is customized to fit the Quinny Zapp Xtra stroller and make parents packing up and being on the go easier for parents. Perfect accessory for anyone who likes to travel with their children.